Our learners had a great week creating showstopping pieces for our upcoming art exhibition which will take place at the Create Center Tuesday 10th July - Thursday 12th July. 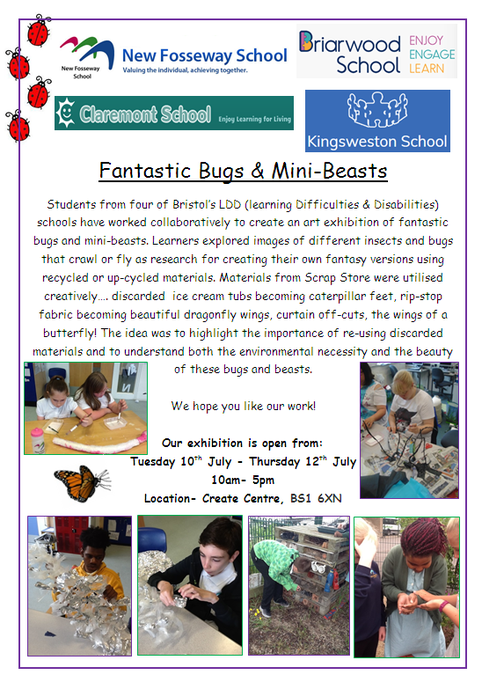 It will also feature an array of creations from Claremont, Briarwood and Kingsweston Schools. We hope you find time to visit!